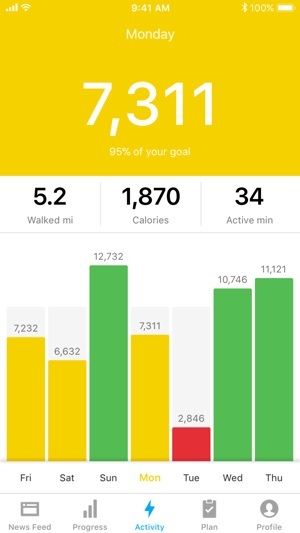 Get active, burn calories and lose weight with your pedometer app! Runtastic Steps counts your daily steps and provides insights into your activity level. * Track your daily steps, walking distance, calories burned & active minutes without any extra hardware. 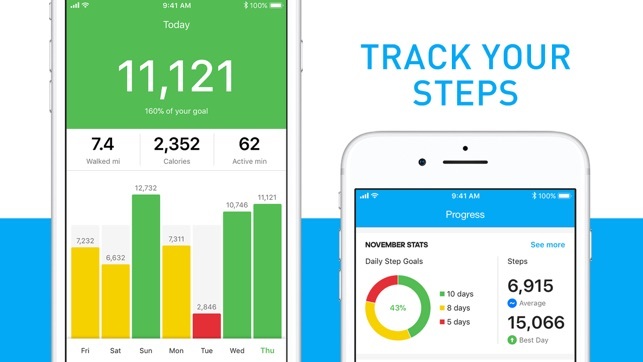 * Integrate the Runtastic Steps tracker with Apple Health. * Get detailed weekly, monthly and yearly activity overviews to monitor your progress. * Set daily step goals to challenge yourself in your activity tracker. * Integrate tracked activities from your Runtastic apps like Runtastic, Results, Six Pack or any other app in the steps counter. 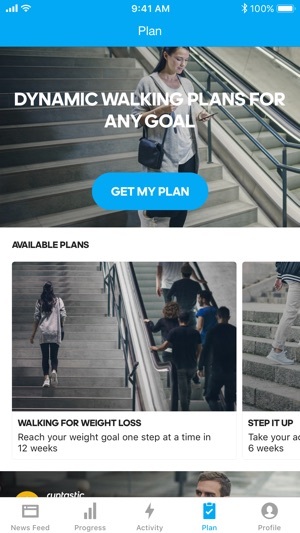 The Runtastic Steps walking app has 3 unique plans adapted to your activity & fitness level. * 30-Day Activity Boost: Quickly up your daily step count over a month. * Step It Up: A mix of step and active minutes goals will help you get more active. * Walking for Weight Loss: Increase your daily activity level over 12 weeks to burn calories and reach your weight goal. * The Runtastic Premium Membership will unlock all Premium features in Runtastic Steps and other Runtastic apps too. 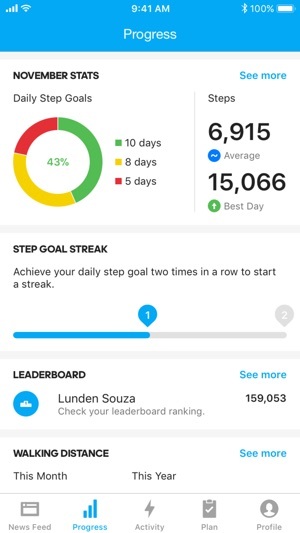 Love the Runtastic Steps app? Rate us with 5 stars & tell others why Runtastic Steps is your favorite daily tracking app in the App Store! So I love the Runtastic apps! I’ve even paid for PRO. But when ME got updated to STEPS, my steps change daily. And when I say the change daily, I mean the previous days keep changing what they said before. Then in the evening when I check my steps, the tracker has restarted and my count is a few hundred. Update: After my post, the app was updated. 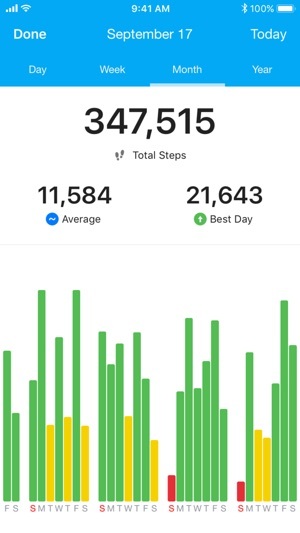 Steps have been more accurate and previous days steps are not changing. Love the app! Hello, we are very sorry. Please contact our Support Team at help.runtastic.com so we can take a closer look at the problem you're experiencing. We appreciate your valuable feedback and look forward to finding a solution for you. Your Runtastic Team. Really love this app, keeps track of my walking regimen along with my wife having it also ! We can actually see and count our movements for the day that we used to just guess at. I used to drive my truck thru the course to see how far we went but steps and how fast you move is what counts. Recommend this to all my senior friends as we are both over 60. Why buy expensive gadgets to wear when our cells do it all for us and more ! Overall the app has some good features, but seems to be challenged in a very important one. For some unknown reason days completed seem to drop out of the system. The system tracked and reported my highest number of steps ever. Two days later I went back in to share the details with my wife. The day--a Thursday-- was completely gone from the system. Ugh! This was not the first time I noticed days being dropped, but unfortunately it was my best day ever. It's the free app, so the performance certainly does not urge me to buy the product.